Available in the iTunes App Store HERE! 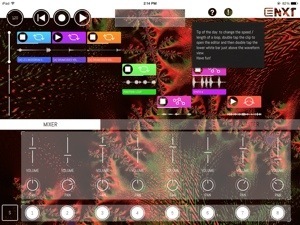 Samplr is a uniquely designed and powerful audio manipulation app no iDevice should be without. 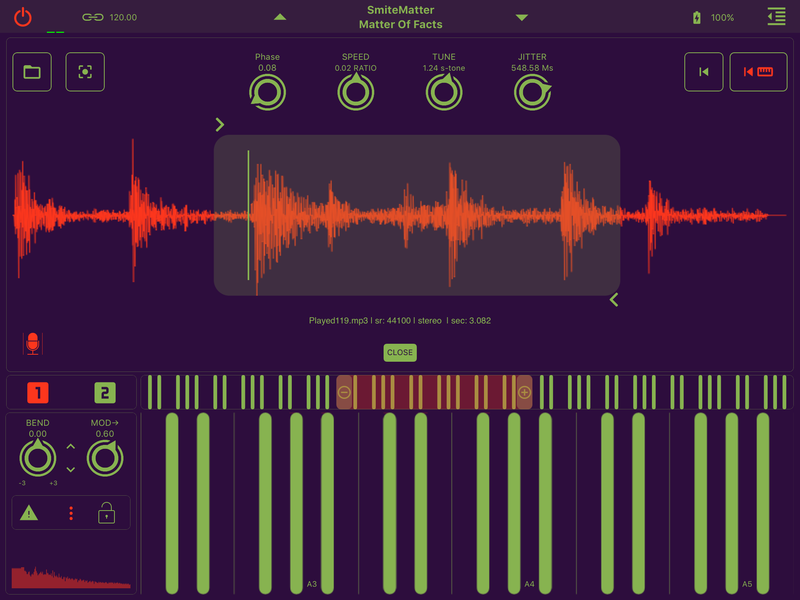 A super cool and fun way to control waveforms by touch, in a diverse collection of playing modes. 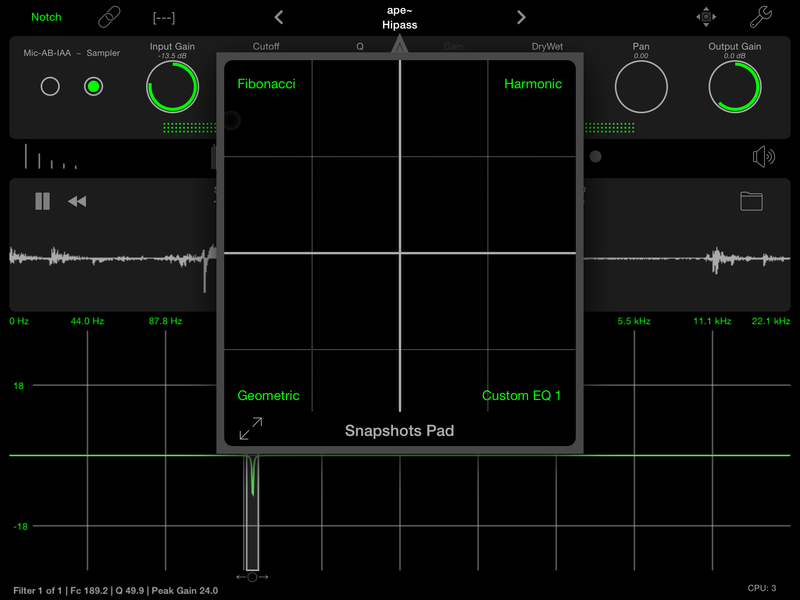 Samplr does a superb job with the gesture and touch controls leaving no impressions of it being anything short of brilliant. This is just such a fun and powerful app. 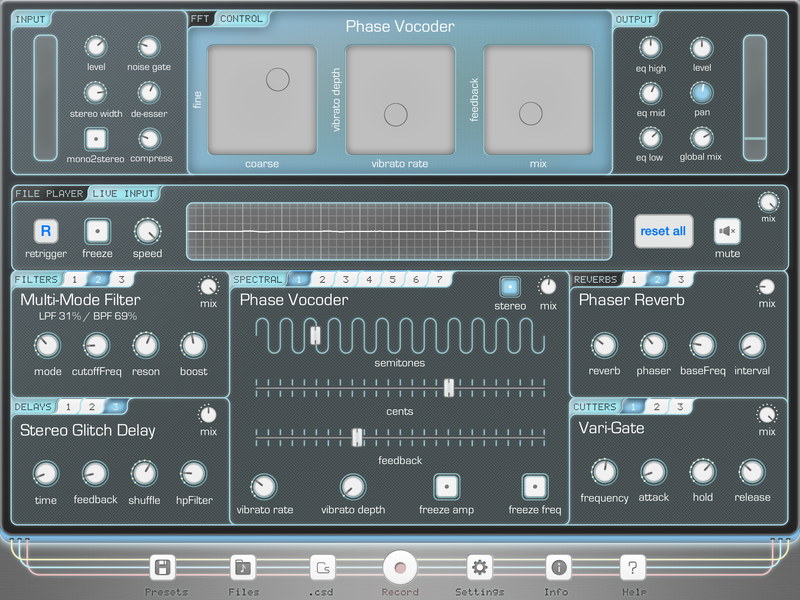 To start off, there’s nice presets to choose from that are a great way to begin with familiarizing oneself with the intuitive controls. 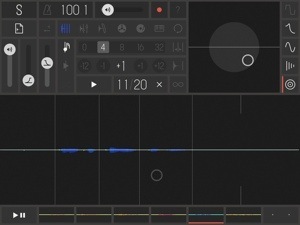 Of course no sampler would be worth anything if you couldn’t easily bring in and record your own sounds. 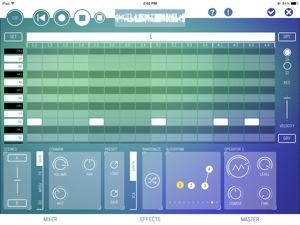 Samplr is fully ready for you to explore and get creative while also being very enjoyable. 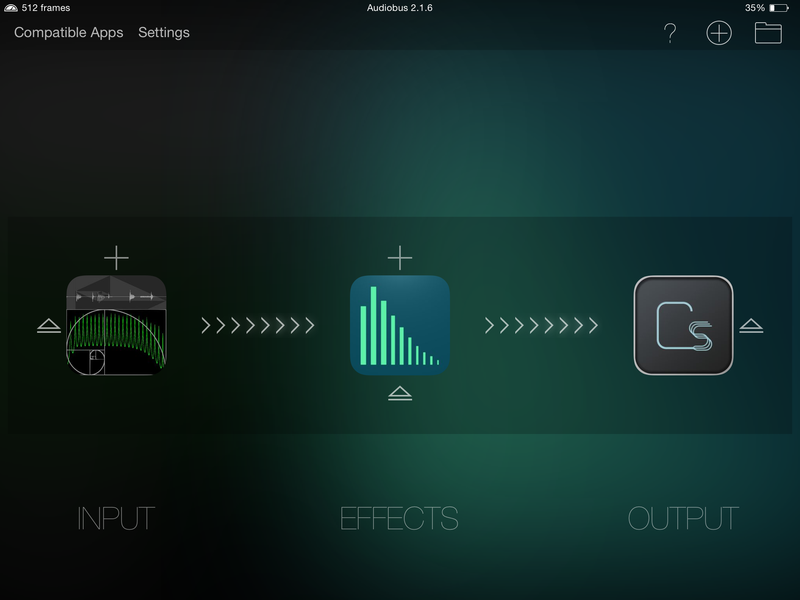 AudioCopy/Paste and Audiobus – Input & Output compatibility opens the best doors to stroll on in hassle free. 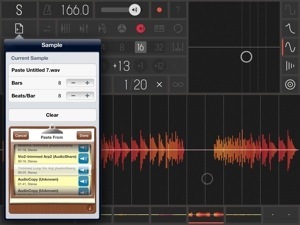 Designed for use in live performances, Sampler offers 6 slots for you to place samples in. 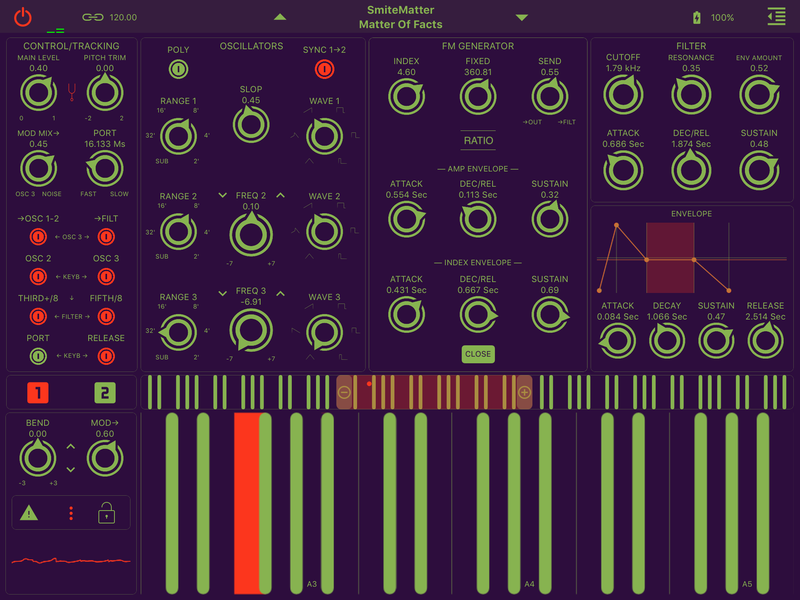 Play all six simultaneously while manipulating one in real time. Each slot can be independently paused and started again with a quick tap of the slot it’s in which is visible on bottom of the screen at all times. There’s no getting lost here. 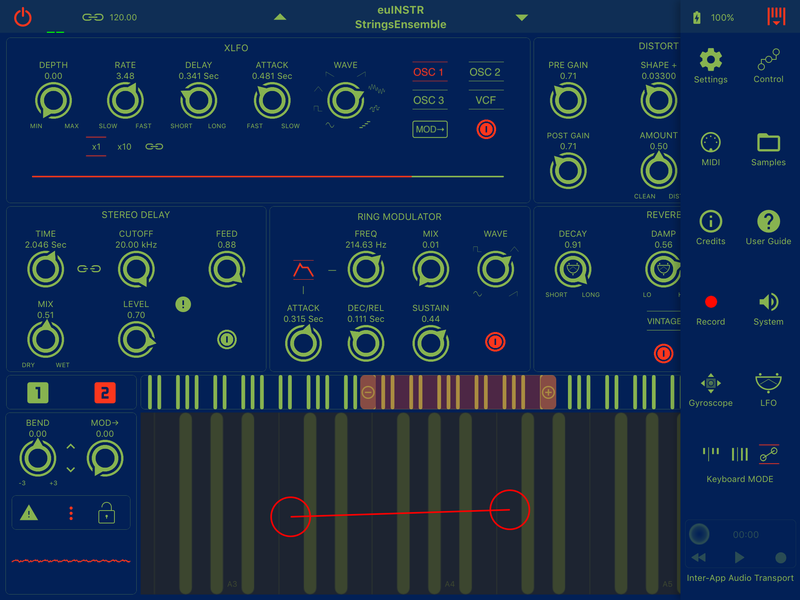 With 7 different play modes, each assignable in any order to the samples, there an awful lot of possibilities. Click here for details, features, & tutorials. to be directed to developer Marcos Alonso’s web site. 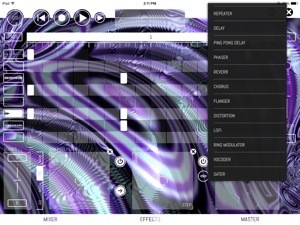 The seven play modes are: Slicer, Looper, Bow, Tape, Scratch, Keyboard, and Loop Player. That’s a pretty nice variety of tools to twist up samples. 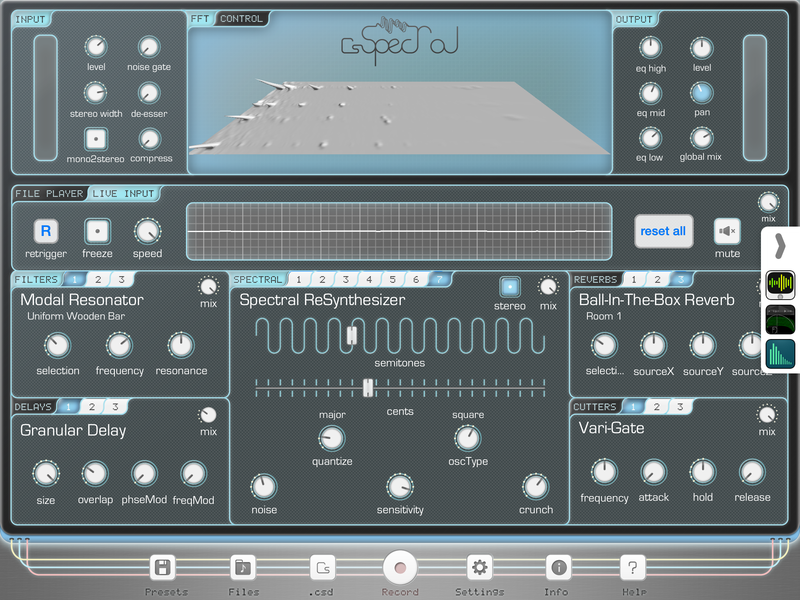 Amplitude-Modulation, Reverb, and Distortion effects are at your fingertips. 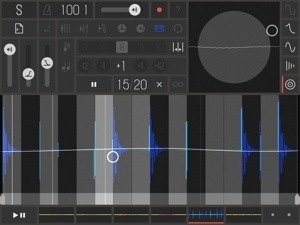 A sweet gesture recorder allows custom movements to continue while moving on to another sample bank. 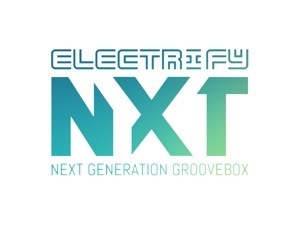 Easily record and resample. 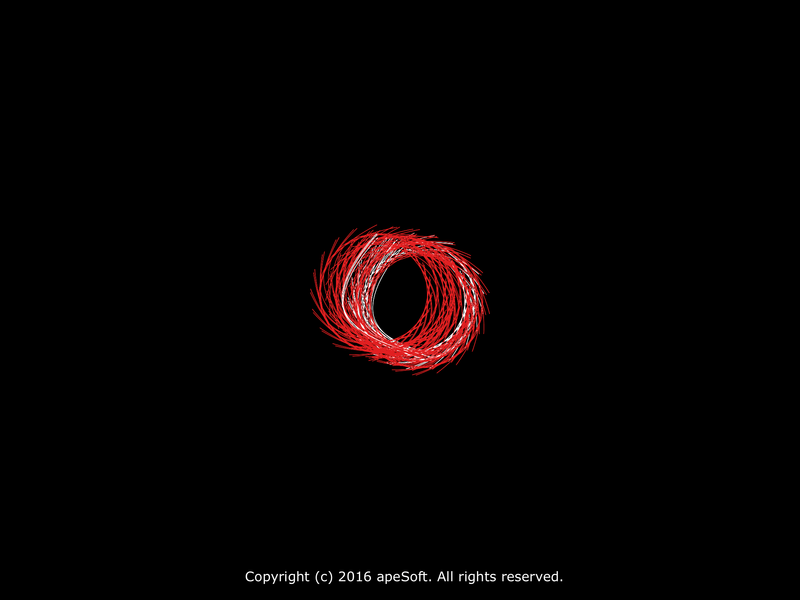 Keep the flow going with Background Audio included. 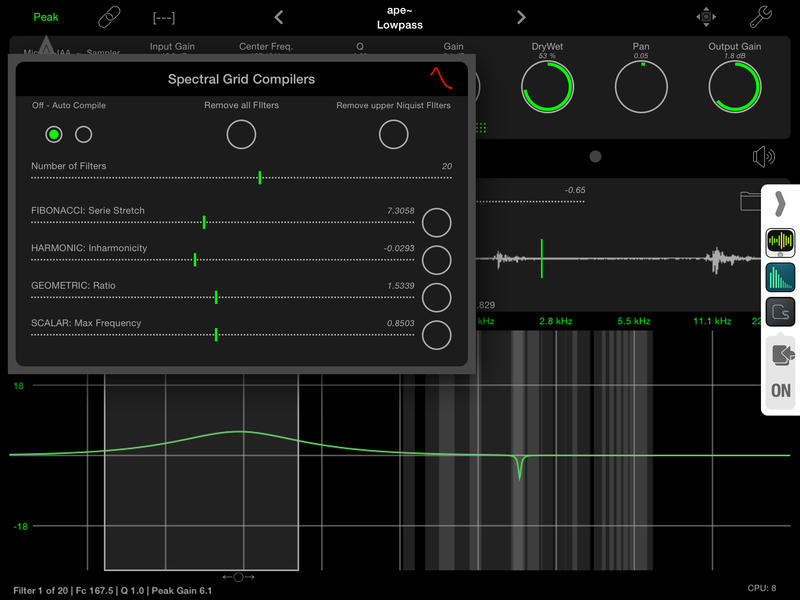 Samplr has quickly become my favorite for all my sampling uses. It has everything I need to do everything I want to do. It’s reliable, stable, and sounds great. To me its not just a sampler but a creative and strong instrument. 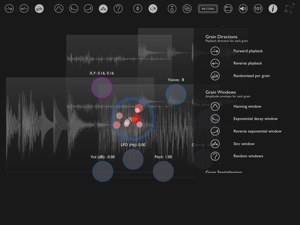 Samplr will suit many uses and music styles very well. I’ve not experienced any crashes or strange malfunctions at all (so far) using it with my iPads 3 & 4. 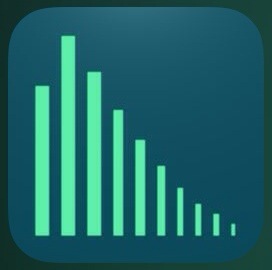 It was in fact a great inspiration for my Colors Of Choices song which I made based off of this magnificent app. 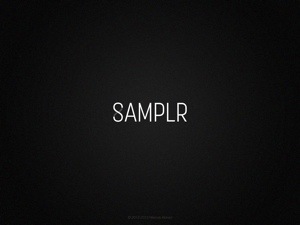 I have no reservations with recommending Samplr as a must have. Unless you really need something of a more common design, it will very likely become a new favorite. 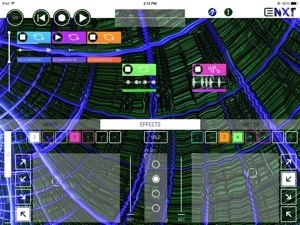 Borderlands was one of those apps that showed huge potential with great innovative design. It was one I had purchased because I believed in it and really bought the promise of updates. Unfortunately those promised updates to bring vital functions to make this great app live up to its potential. 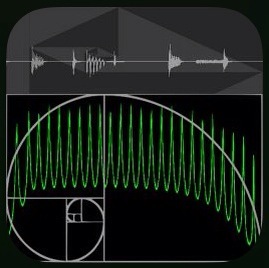 Functions like AudioCopy/Paste and or Audiobus. They should have been added months ago. It’s not often I will show much interest in music apps that are shipped missing critical components leaving a rather inconvenient to use product. Borderlands is so very unique and designed with such a pleasant user interface, I can’t ignore its brilliance. What is Borderlands? Where are the controls or virtual knobs and sliders? 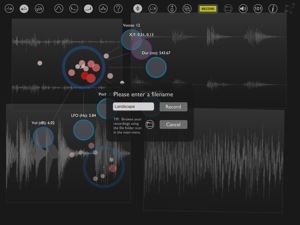 What it is, is a gesture controlled granular synthesis instrument. No knobs, sliders, or much of anything except a clean interface with a minimalist list of function buttons on the top of the screen. Everything is controlled by you and your hands. Load audio files (this is the main problem I’ll touch on later) onto the screen and they appear as waveform snapshots. 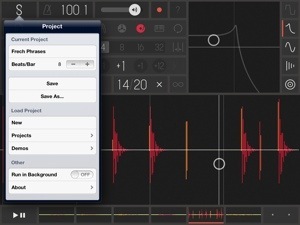 You double tap to produce “clouds” which are then what brings the audio to life as you sculpt grains of sound. Double tap the cloud again to bring up its specific set of controls. 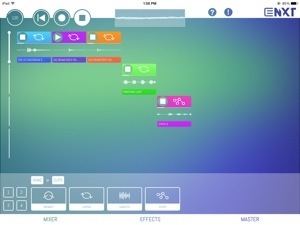 How you move, pinch, spread, zoom, throw or swipe will determine the sounds it generates. Don’t want the cloud or just done with it? Swipe it off the screen to delete it. Further control over the audio is done via the top of the screens buttons or icons. These manipulate the grains direction, the grain windows such as Sinc, Exponential, Random and so on control the behaviors. It’s a beautiful experience and fun to experiment. I recommend visiting the website HERE where you will find information , news, and helpful tutorials. 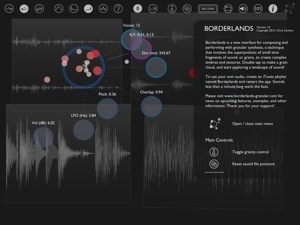 Borderlands is well made to suit live performances, as well as instrumentation for music productions. 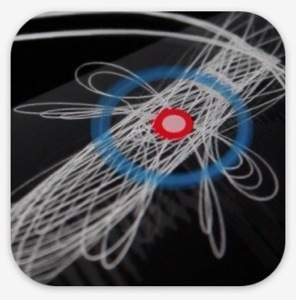 Turn on the “Gravity” function to enable accelerometer control to add to the fun. 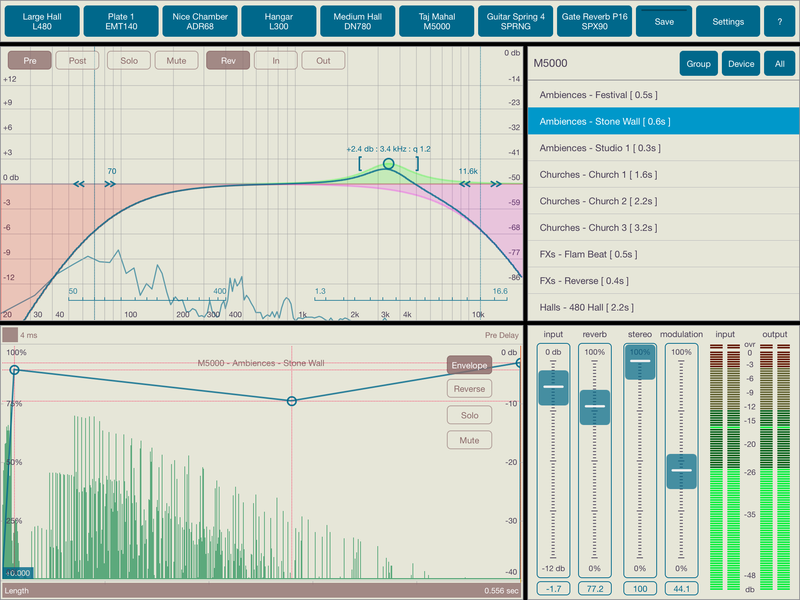 While the sample rate is a bit lower than I would prefer and the latency is high, it still sounds really good. It’s early for Borderlands and what we have today is just a taste of what’s in store through further development as time goes on. The biggest problem with Borderlands is sharing. Importing is limited to a iTunes Borderlands specific playlist you must load and sync well in advance of use. A very cumbersome and dreadful way to import your own samples. If you’re not near your computer with iTunes and want to add something you just made, its not possible at this time. 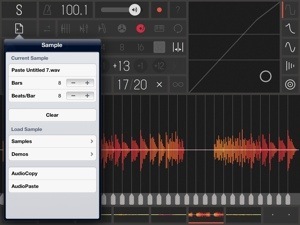 No Audio Copy Paste, No iTunes File Share, No Dropbox, No Audiobus. I’ve found these missing features to be very problematic, as well as terribly inconvenient. You can record, but pretty much only have the options to share that by uploading to SoundCloud. Now hang on, I’m not bashing this. I’ve corresponded with Chris Carlson over the past couple months several times. He is doing all of the development himself in his limited spare time. Consider that please. Additionally like you and I, he has a life with many things requiring his attention. Borderlands today is not what Borderlands will always be. He is working diligently to bring in new features, many improvements, and expanding its capabilities. This cannot be rushed if it is to be done right. Improving audio quality is one thing high on the list. Midi options are planned. 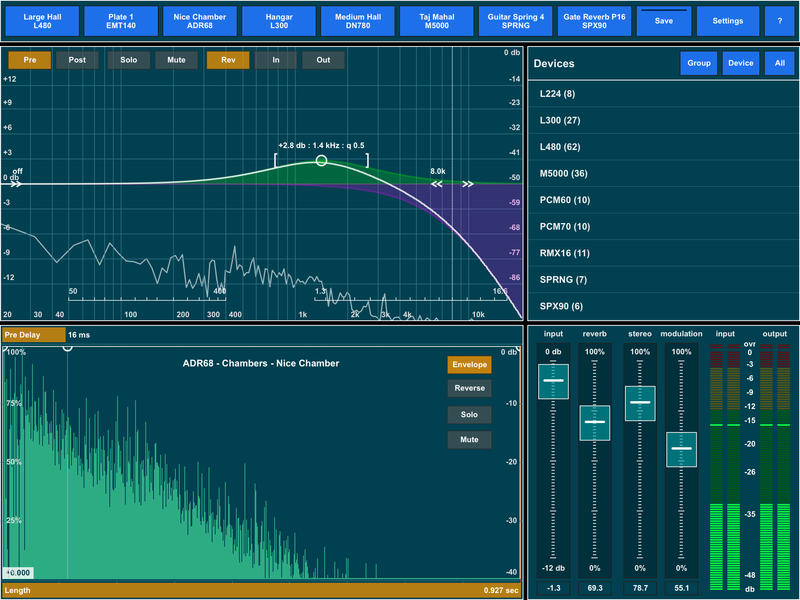 Audio Copy Paste, & the AudioShare App SDK is being looked at for implementing shortly. 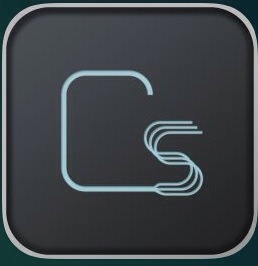 Even better news is he is working on Audiobus Output support. Which contrary to intuition is the routing of audio in to Borderlands to capture. 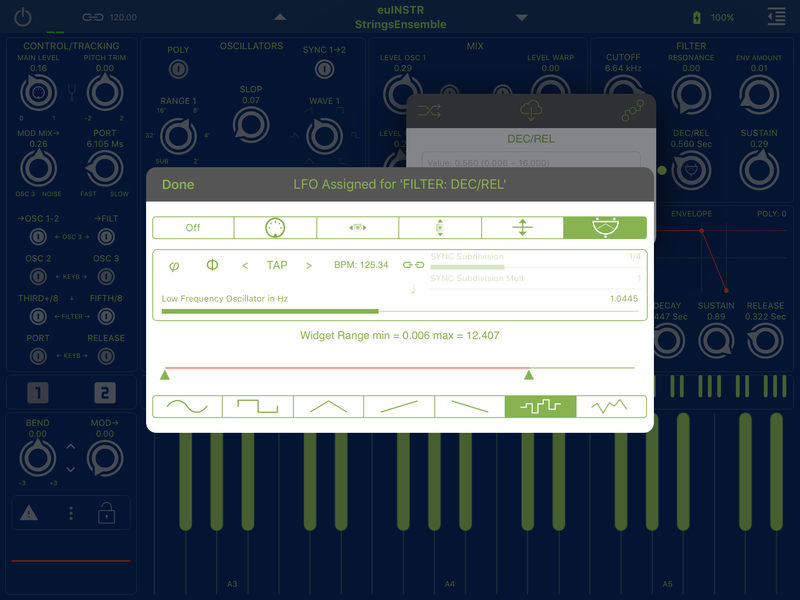 That is far more complex than Audiobus Input which just sends audio. Borderlands is special and developed by one massively creative person. Limited today, but with a little more time we can expect big things to make the experience far more enjoyable than it already is. This is the kind of creative app development that deserves support. I feel good about having spent the money. Almost there. So all things considered I rate 3.5 stars. That’s not a bad thing. It’s a great app, but its painful to import your own audio and honestly I wouldn’t use the playlist method of importing. Really this is a 5 star app just temporarily stuck on 3.5 pending the inevitable improvements. You can bet I’ll be adjusting that appropriately the instant those arrive. And they will arrive.